Soon, he's romancing a B movie starlet (Russo), schmoozing the film star (Devito) and making the scene at the hottest Hollywood restaurants. His transformation to big-shot producer nearly complete, Chili just needs to extricate himself fromt he mob scene and the drug smugglers and other mobsters that are hot on his trail. Making it in this town can be murder! Download Get Shorty in Digital HD from the iTunes store. 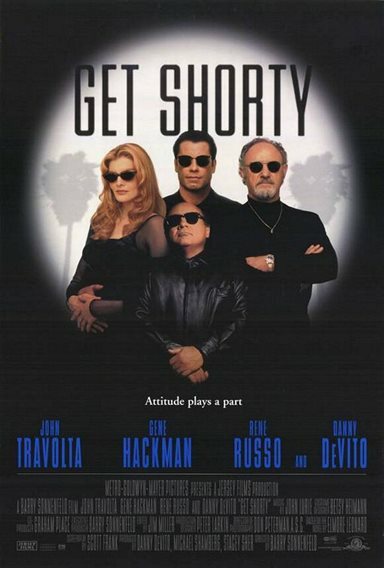 Get Shorty images are © MGM Studios. All Rights Reserved.